Amanda Williams is a visual artist who trained as an architect. Raised in Chicago’s Auburn Gresham neighborhood, Williams is best known for her series, Color(ed) Theory, exhibited at Chicago’s inaugural Architecture Biennial, in which she painted the exterior of soon-to-be-demolished houses using a culturally charged color palette as a way to mark the pervasiveness of vacancy and blight in black communities. Williams is a highly sought after lecturer and the subject of many articles on the relationship between art, race, and urbanism. She has forthcoming exhibitions at the Arts Club of Chicago and the Museum of Contemporary Art in Chicago, and, in collaboration with Andres Hernandez, was recently selected as a member of the exhibition design team for the museum at the future Obama Presidential Center (OPC). 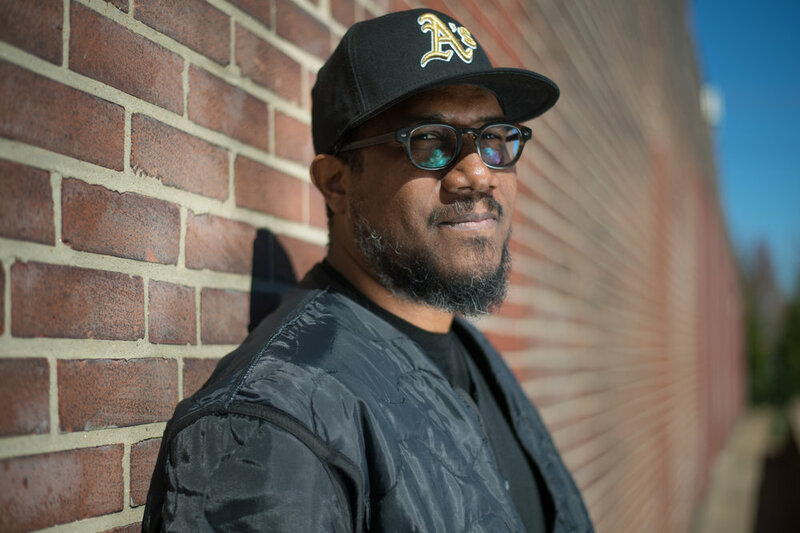 Williams is a graduate of Cornell University’s School of Architecture, has served as an Adjunct Professor at the Illinois Institute of Technology and a Visiting Assistant Professor at Washington University’s Sam Fox School of Art and Design and Visual Arts in St. Louis. Williams lives and works in Bronzeville. Artist, designer, and educator, Andres L. Hernandez works with youth and adults to interpret, critique, and reimagine their physical, social, and cultural environments. He is co-founder of Revival Arts Collective, a network of citizen activists committed to using arts and culture as a catalyst for community redevelopment in Chicago; and founder and director of the Urban Vacancy Research Initiative, which enlists artists and designers to creatively address the phenomena of abandoned, razed, and vacant urban properties. Hernandez and Amanda Williams were recently selected to be part of the interdisciplinary exhibition design team for the museum that will be part of the Obama Presidential Center (OPC). Hernandez earned a Bachelor of Architecture from Cornell University and a Master of Arts in Art Education from the School of the Art Institute of Chicago, where he is Associate Professor in the Department of Art Education. He has served as Visiting Assistant Professor at Washington University’s Sam Fox School of Design and Visual Arts in St. Louis and is a faculty member in the Graduate Studies in Art and Design Education program at Vermont College of Fine Arts.